Mikhail Grigorenko continued his early season roll Sunday with three assists as Quebec captured their fourth straight win by doubling Val-d'Or 4-2. 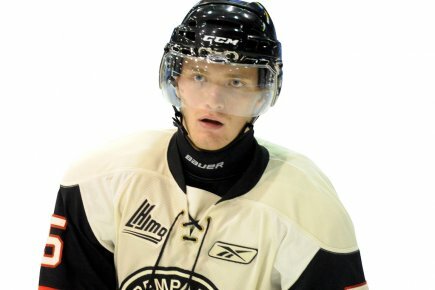 The 6-foot-3 center has multi-point outings in all four games this season for a total of 11 points (3+8) to place 2nd in QMJHL scoring. Quebec returns to action Tuesday at Chicoutimi. In the WHL, Logan Nelson logged a -1 rating as Victoria was blanked by Kamloops 3-0. Nelson and the Royals get back at it Wednesday versus Medicine Hat. Has Grigo looked dominant in all of these games? he is looking good offensively. The complete is starting to come around. That's Patrick Roy's focus this year - getting Grigorenko to up his intensity on a regular basis.